Screech-owls are one of the most common owls in the United States. The word owl came from the Anglo-Saxon word ule, which was derived from the Latin word ululo, meaning to cry out. Western Screech-Owls are slightly larger than Eastern Screech-Owls. 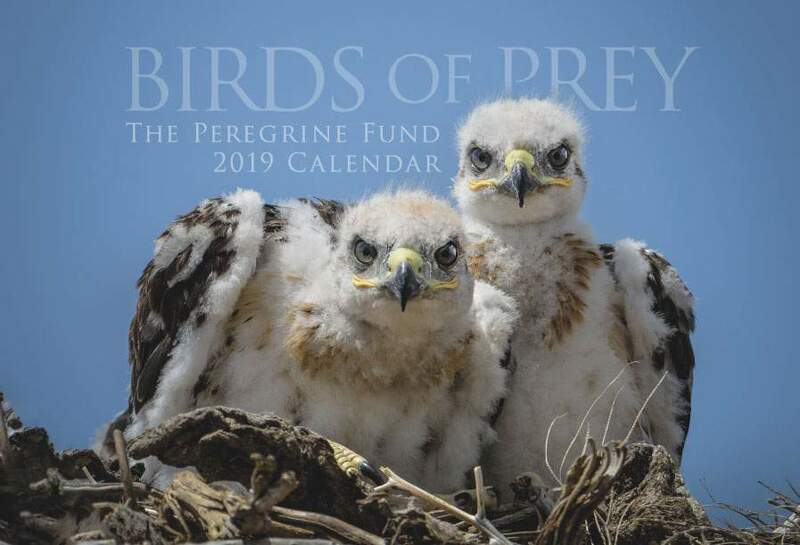 Though The Peregrine Fund doesn't work directly with Western Screech Owls, our efforts in scientific research, habitat conservation, education, and community development help conserve birds of prey around the world. We also supply literature to researchers from our avian research library, which helps scientists around the world gather and share important information on raptor conservation. The Western Screech Owl can be found throughout most of western North America from southeast Alaska, through much of Canada, south to western Texas and Mexico. Its range continues into a large part of Central America. It is a resident of many of the countries in the region including Guatemala, Honduras, Costa Rica, and Nicaragua. Throughout its range, this beautiful owl can be found in a diverse number of habitats. It lives in deciduous and evergreen forests, lowland creeks, riparian areas, deserts, scrubland, and may even be seen living and nesting in urban parks throughout its range. In North America, it may be found in areas dominated by cottonwood trees, oaks, and willows, among other tree species. Competing with Taita Falcons for cuteness, the Western Screech Owl is a tiny owl that comes in several colors. Unlike many birds of prey, such as the Swainson´s Hawk, which has a light and dark morph, the Western Screech Owl has color morphs with names that could be found in a box of crayons, such as grey Pacific, brown Pacific and Mojave. Generally speaking, however, they are overall greyish or brownish with heavy streaking on their body.They have pointy little ear tufts, large yellow eyes, a yellow bill and a rounded head and body. Due to its grey-brown coloration and wide streaking, the Western Screech Owl is a poster child for excellent camouflage. It blends in perfectly with the bark of many of the trees that grow within its habitat. When roosting, a screech owl that senses danger or feels like it is being watched will often straighten its body from head to toe, partially close its eyes, and remain perfectly still – all in the hope of blending in with the tree and fooling potential predators into thinking they are looking at tree bark and not a tasty meal! Contrary to what its name would have you believe, the Western Screech-Owl does not screech. Instead, its call is comprised of a series of trills, which bring to mind the sound of a bouncing ball. However, depending on what they hope to communicate, their calls can also be in the form of hoots, whistles, and even barks. Both males and females will sing or call to warn of potential predators or other dangers, beg for food, communicate with their mates, or express agitation. Due to its small size, effective camouflage, and the fact that it is mostly nocturnal, the Western Screech-Owl has escaped much of the human persecution that plagues other birds of prey. This owl also seems to adapt well to altered habitat as long as the area is not densely occupied by humans. 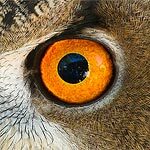 However, noise disturbance during nesting (such as from off-road vehicles or even birders playing callbacks), as well as collisions with vehicles and powerlines are threats that the owl faces. The Western Screech Owl has a varied diet that includes insects, such as scorpions and cicadas, small mammals, birds, and some reptiles and amphibians. The majority of hunting is done during dusk, dawn or at night. Like other owls, they have exceptional hearing and great night vision, which helps make them excellent hunters. The Western Screech Owl uses several hunting strategies to capture prey. It may wait on a perch and then swoop down onto approaching animals, or it may chase its quarry in the air for short distances. It will sometimes even walk along the ground looking for something tasty to eat. The Western Screech-Owl doesn't nest in traditional stick nests. Instead, it prefers to use holes (often old holes made by woodpeckers) or cavities in trees, Saguaro Cactus, or cliffs. They will also use man-made nest boxes, which can be a good way to attract these owls to your neighborhood. 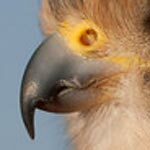 Once the nest site is chosen, the female lays 3-7 eggs that must be incubated for around 26 days. Generally speaking, the female does all of the incubation and she is the one who cares for the young owlets, brooding and feeding them when they are still very small. During this time, it is the male's job to feed his entire family and himself. He brings food to the female and she delicately feeds her young. When the owlets hatch, they are covered in fluffy down, but they grow very fast. Once they have most of their feathers, both parents work hard to hunt and feed the young owls. In about a month, they are ready to leave the nest for the first time. However, they stay with their parents for another 5-6 weeks before venturing out into the world on their own. According to the Idaho Fish and Game Department, the Western Screech Owl is found throughout most of Idaho, usually below an elevation of 4,000 feet. However, it is a hard bird to see due to its excellent camouflage and nocturnal habits. Come to the World Center for Birds of Prey and meet Winston, our resident Western Screech Owl. He is often used during bird presentations and sits comfortably on his handler's glove, which alllows you to get a close up view of this exceptionally cute raptor.